Boerne Air Conditioning Experts is your reliable local source for AC replacement and repair in Fair Oaks Ranch, TX and the surrounding communities. Our team understands that a struggling HVAC system can be a source of major frustration, from fighting with your thermostat to enduring high energy bills and frequent repair calls. New AC replacement can eliminate these issues and more with cooling equipment that is perfectly matched to your home and your needs. If you’re considering HVAC replacement in the near future for your Fair Oaks Ranch home, there are several factors worth considering to ensure you make the purchase that will provide the best return on your investment. It’s important to understand that central heating and air conditioning utilizes a series of ducts to deliver conditioned air to each room in your home. A traditional central air system sends air from your HVAC system to every room in your home simultaneously, regardless of whether you are using each space or not. While closing your air registers can help to funnel more air to the spaces you are using and prevent heating and cooling in little-used rooms, shutting too many air registers at once can have a negative effect. HVAC zoning can increase the efficiency of your heating and cooling appliances by allowing you to easily and effectively choose the areas of your home that you want to heat and cool without compromising HVAC performance. In a zoned system, mechanical dampers are used to open or close areas of ductwork so you can opt to condition only one area of your home or many areas at once, depending on your needs; each zone is controlled via a separate thermostat for easy access. In some cases, a zoned HVAC system can even allow everyone in your family to enjoy their ideal home environment without unnecessarily large energy bills. 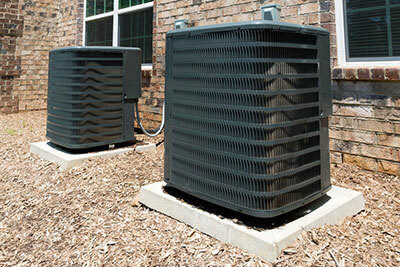 While HVAC zoning can be added at any time, it is often easiest to install during a new HVAC installation. Before making a decision to replace your current AC unit, you need to have a good idea if your current AC system is ready to be retired. The principle way to tell if an AC is over the hill is to check its age against the manufacturer’s estimated lifespan. Most air conditioners can last 10–15 years. A unit that’s gotten over 15 years is due for a replacement, even if it seems to work well outwardly. There are also some specific warning signs to watch for. If you noticed any of the following during the previous summer from your AC, you should think about retiring it: uneven cooling with hot spots in rooms, unusually noisy operation, rising electrical bills with no explanation, and frequent repairs needed during the summer to keep the AC running. In the end, the best way to receive a definite answer about AC replacement is to schedule maintenance with our technicians at Boerne Air Conditioning Experts. 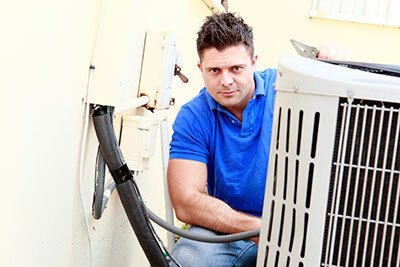 Air conditioning maintenance needs to be done each spring, so arrange for it as soon as you can. After we inspect the air conditioner, we’ll be able to give you an educated opinion on whether it’s time to put in a new system.